ATLANTA – Admiral Capital Group (“Admiral”) and Elite Street Capital (“ESC”) announce the acquisition of The Fields Peachtree Retreat (formerly known as Ashley Lakes Apartments), a 240 home community located in the Peachtree Corners section of Norcross, Georgia. 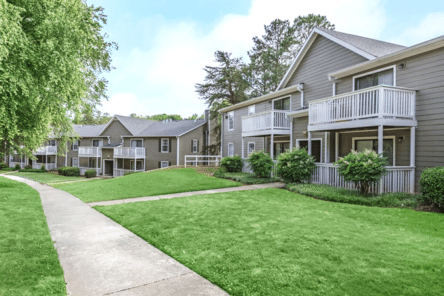 The property represents the second Atlanta MSA multifamily investment in Admiral’s most recent fund, Admiral Capital Real Estate Fund II, and its first joint venture with ESC. Built in 1985, the two and three-story garden-style property is located approximately one mile from Peachtree Industrial Boulevard, providing excellent access to all roadways connecting the northern Atlanta suburbs. The Fields Peachtree Retreat provides a low-density, campus-like setting across 32 acres, including generous open green spaces and direct access to the neighborhood lake. Admiral Capital Group was founded by David Robinson, philanthropist and NBA Hall of Famer, and Daniel Bassichis, formerly of Goldman Sachs, to invest in real estate and private equity opportunities. Admiral, in partnership with USAA Real Estate Company acquires value-add multifamily, office, retail and hospitality properties valued between $20 million and $70 million in major U.S markets nationwide. The Admiral founders have pledged 10% of their profits to philanthropic causes in areas where Admiral invests, building on Robinson’s lifetime commitment to support education and lower income communities. For more information, visit www.admiralcg.com.